Home / Events / Toronto / Sustainable Dim Sum Anyone? 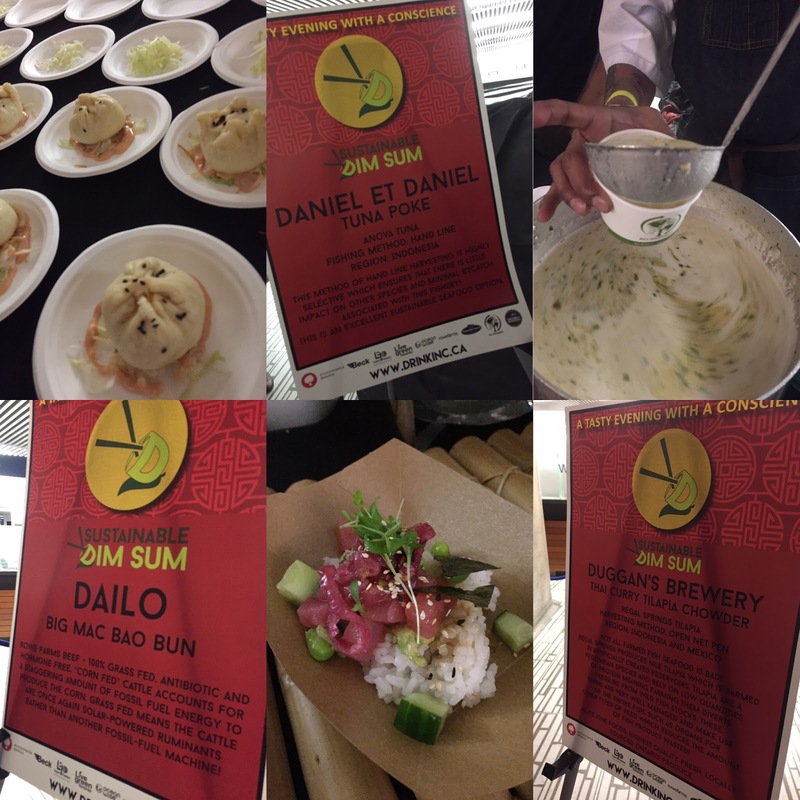 Toronto City Hall was the venue of Drink Inc's Sustainable Dim Sum event. I'd never been to an event there, but it's a great space; lots of room and great lighting. The general admission and media lines were not separate, which was a little unusual, but this was a first for this event, so no big deal. The line was very long as it was soon a full house! We were given stamp cards when we arrived to get one piece at each station. We were also given a large wine glass and earth friendly chopsticks. I didn't really use the chopsticks as I would have starved! We stopped at the Muskoka Brewery for a beverage before diving in. The chefs and staff were all ready with fresh food for the taking. It smelled so good! We tried the offerings of almost every restaurant there. You received one piece from each place. I realize it doesn't sound like a lot, but we were stuffed! 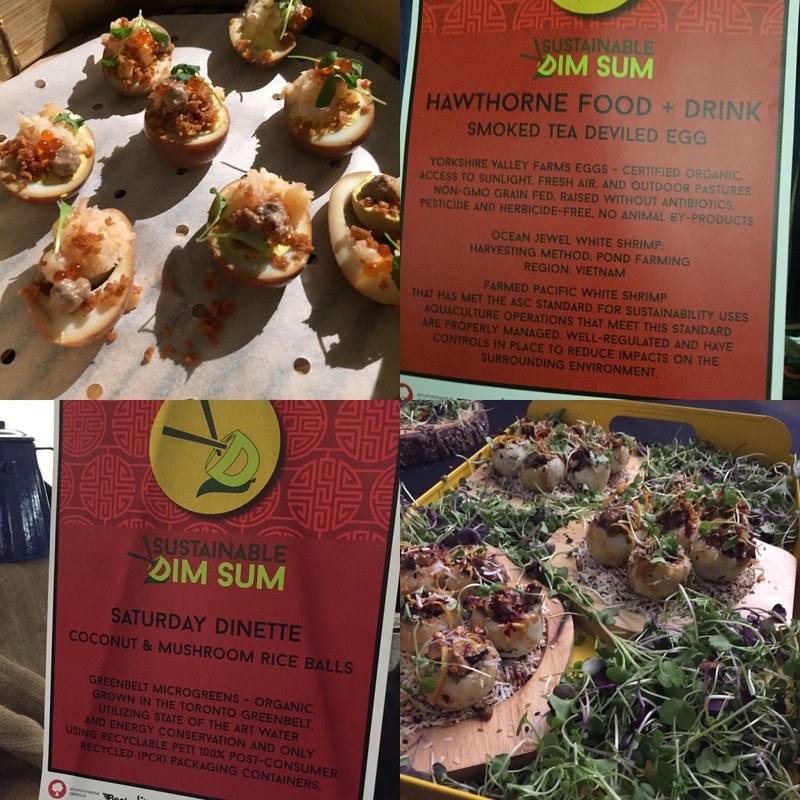 My favourites were the Smoked Tea Deviled Egg from Hawthorne, Big Mac Bao Bun from Dailo and Lake Inez Shrimp and Chicken Won Ton. Not everything there was dim sum. There were amazing soups from Duggan's Brewery and Hogtown Pub & Oysters. Pork Ninjas served up some serious bacon wrapped meatballs. C-fu Foods and Kanpai went on the more adventurous side serving up crickets in their dim sum! I don't know how authentic all of these were, but they sure were tasty! This event aimed to put a spotlight on sustainable, local foods. I like that they chose a type of cuisine that normally brags about the area it's ingredients are imported from. It really gave these chefs a chance to shine using the smallest possible carbon footprint with a Canadian spin and they did shine! Hope to see more events like this one!